Women’s Activities and Self Help House (W.A.S.H House) and artist Barbara Kenny, Coolamon Cottage Child Care Centre. This work highlights diverse cultural representations of the night sky. The overall design was inspired by the painting Starry Night by Vincent Van Gogh. 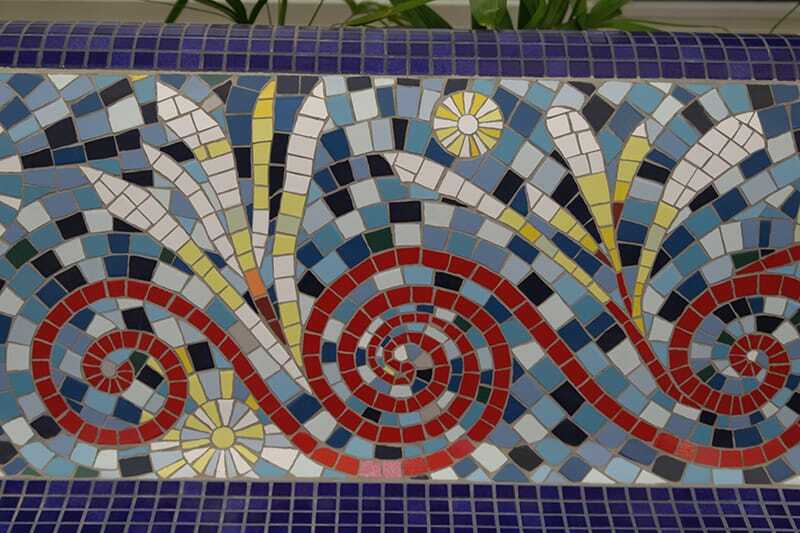 Marily Cintra worked with various community groups, facilitating the development of imagery and together with Malcolm Cooke translated the groups’ images and stories into the mosaic design. 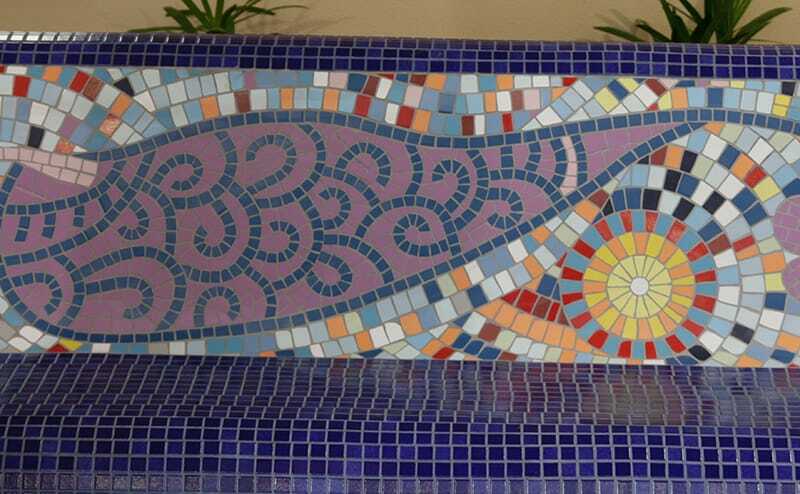 The first seat for the main entry was designed in collaboration with the Bahaí community and artist Desiree Martin. It represents the Bahaí teachings of unity in diversity: “We are the fruits of one tree and the leaves of one branch. We all belong to the same human family”. 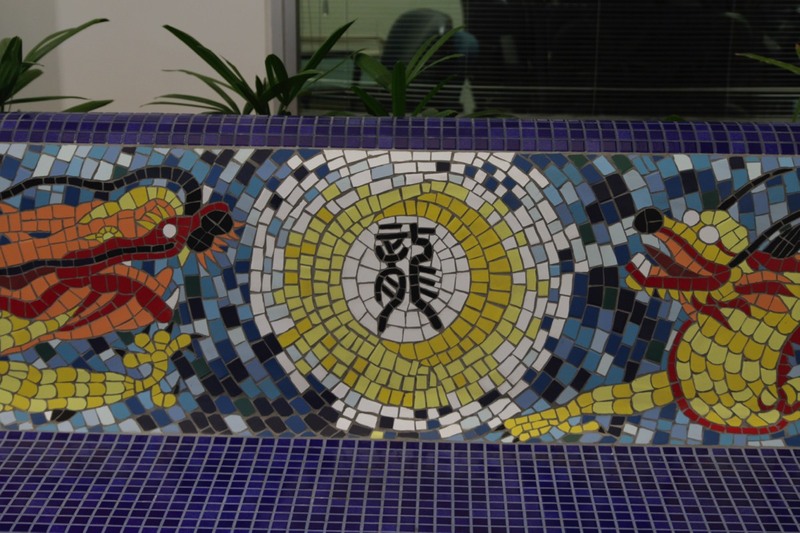 The celestial dragons seat was designed in collaboration with the Chinese Elders Group from SydWest Multicultural Services. The seat represents the night sky with fiery celestial dragons. The dragons traditionally symbolise protection, strength and auspicious powers. The Chinese community wishes these blessings upon all who come to Blacktown Hospital. The art group from the Women’s Activity and Self Help (W.A.S.H.) House, from Mount Druitt, were inspired by galaxies in their designs. W.A.S.H. House arts teacher Barbara Kenny assisted in the development of a very colourful seat design. 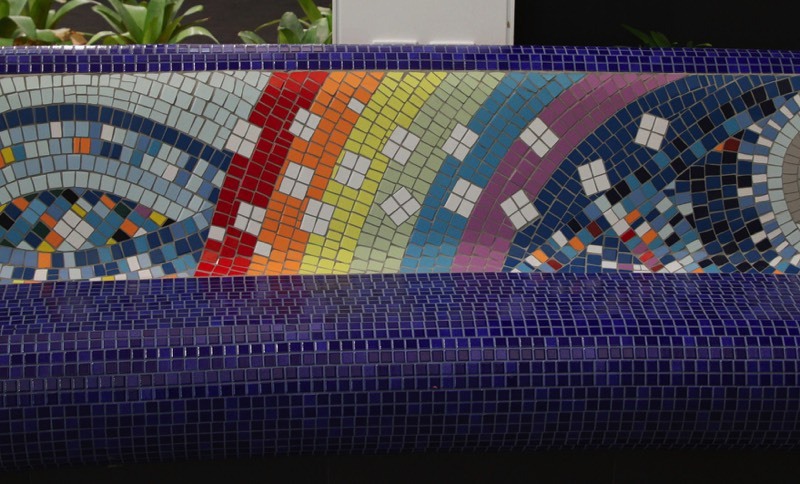 Both African and Indian Women’s groups from SydWest Multicultural Services were inspired by henna or mehndi patterns in the creation of the mosaic design for the third seat. This temporary body art is used to dye skin as an adornment for special occasions like weddings. The African henna patterns are usually bold, large geometric shapes with abstract symbols. The Indian mehndi are often made of thin lines for lacy, floral or paisley pattens. 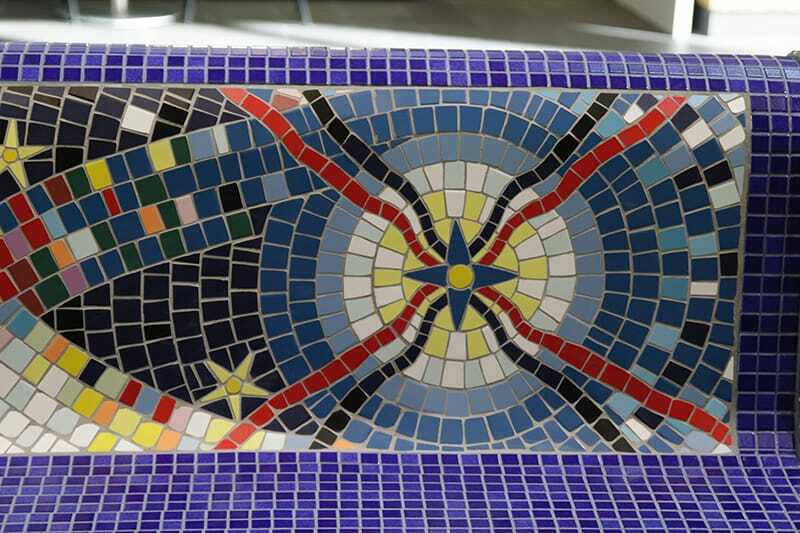 Blacktown Hospital staff contributed to the design of one of the seats by providing their own depictions of stars for Malcolm to transform into mosaic. 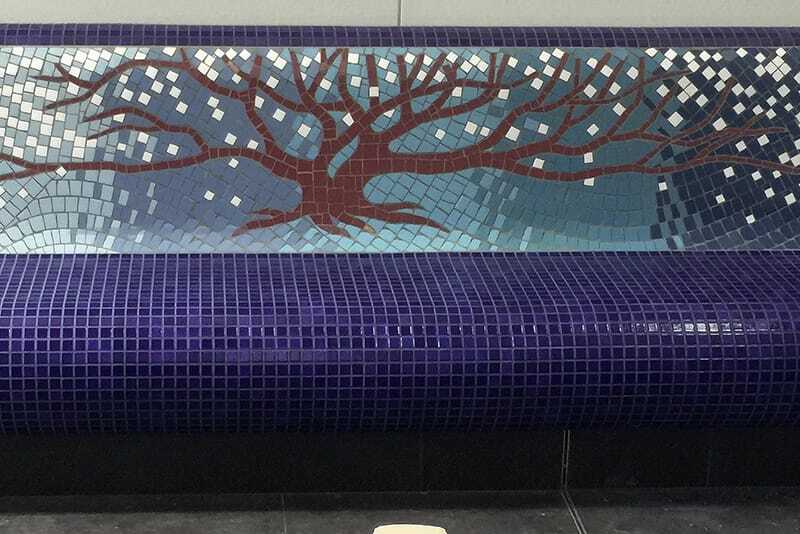 SydWest’s Arabic Speaking Group from Mount Druitt and Indian Women’s Group from Blacktown helped design the other three seats that form the community gathering space.